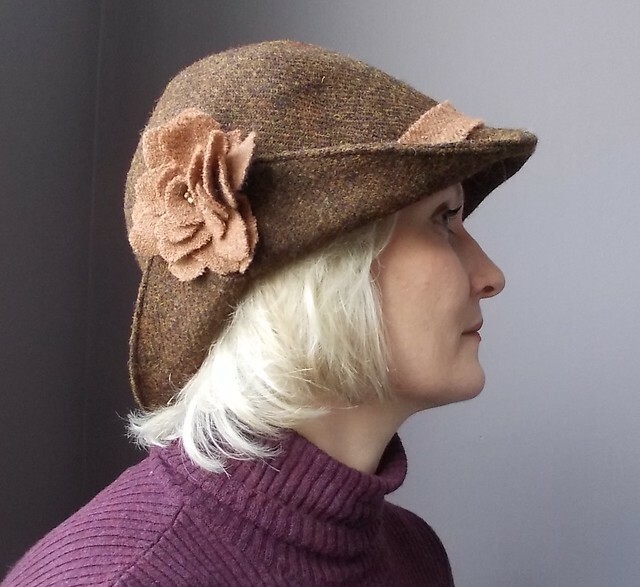 I made a hat from remnants of various Harris Tweed projects that have been languishing in my scrap box for the last few years. Just a little project to ease myself back into sewing after the holiday lull. The pattern is Vogue 8440. I stole the idea of turning up the vent edges and adding the flower/trim from a review on PR, since it adds a lot of interest to this very basic pattern. 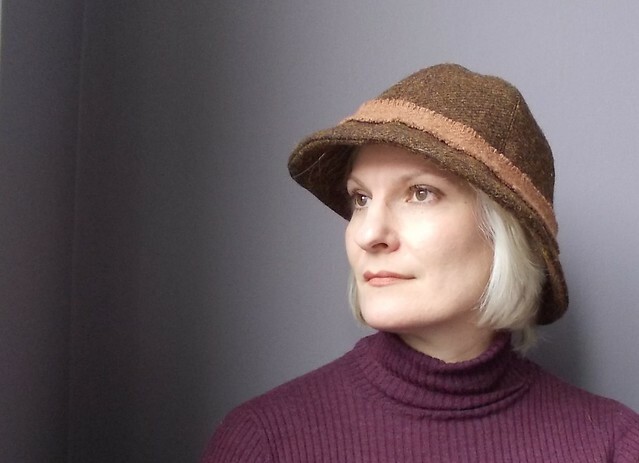 I chose to underline it with washed muslin, so it has a softer silhouette and feel than a felt hat. I lined it with a heavy-ish rayon bemberg, and didn’t bother to put petersham ribbon around the interior band. I’ve worn it several times, and it’s so toasty warm! It’s also super happy to repel snow and sleet and all other kinds of wintry precipitation. Love that hat! I have such a big head and can never find hats to fit me. Maybe I should have a go at making my own. Looks professional! And love your new look. wow – and wow again – you look amazing in these pictures. 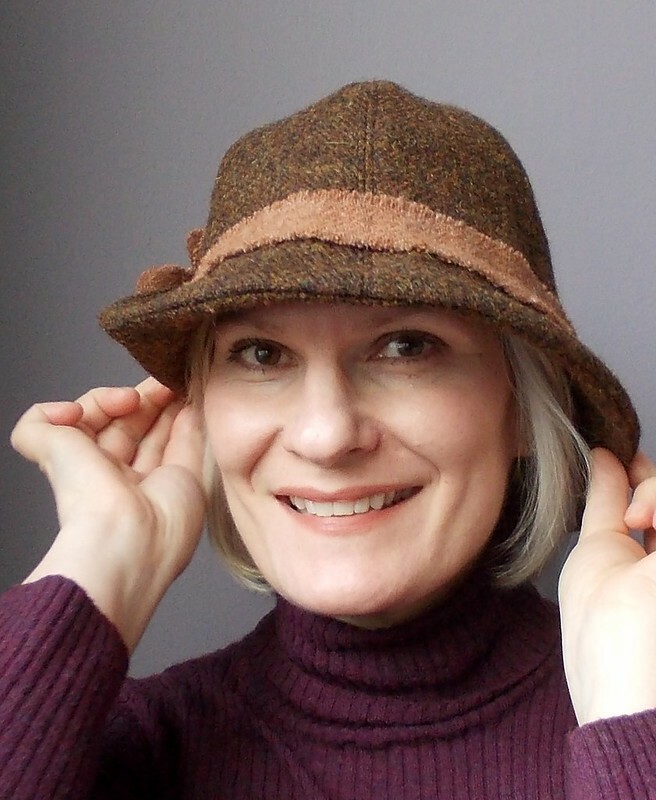 This hat is just great, wish I had the pattern, I would copy this straight away! How elegant! You look particularly fabulous in these pictures! i am in love with your hat. Super little hat! Isn’t it fun turning scraps into something special? Great little hat! 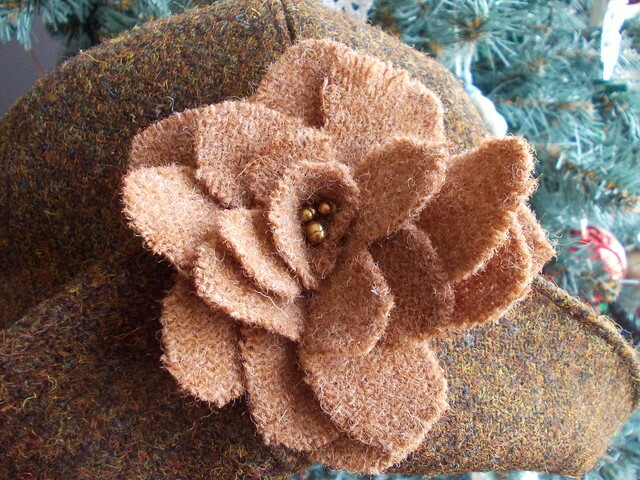 Love the turned up brim with the flower. Fab! I love an item that’s made from bits and pieces that would otherwise lie languishing in a box somewhere – it’s like getting something for free. Your hat is brill!